The 2017 version of a ‘wish you were here’ postcard. It’s hard to take a bad photo in Lisbon. 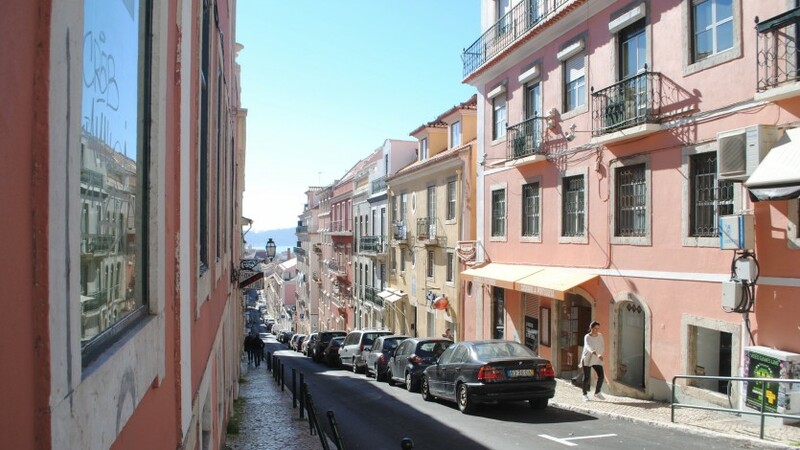 From its pastel façades to its pastels de nata—the portuguese egg tart I hold solely responsible for closing my thigh gap—every corner you turn feels like you’ve accidentally stumbled onto a Wes Anderson movie set (sunshine-yellow trams! shops built on 45-degree angles! bakeries everywhere!). If you’re heading to Lisbon (pronounced leej-boa in Portuguese), and are on the hunt for some serious ’gram candy, please see the following outsider’s guide to the best backdrops for your #OOTDs and #TravelGrams. Tag us later. Only in Lisbon would a mall top our list of places to snap (both the verb and the app, in this instance). Embaixada is a former Arabian Palace turned into a shopping gallery, where local and international brands have transformed each room into everything from a shoe store to a furniture showroom to a gin bar. Exploring it is like peeking into an eccentric royal’s home, if said eccentric royal served gimlets in one room and sold organic cotton baby clothes in the next. 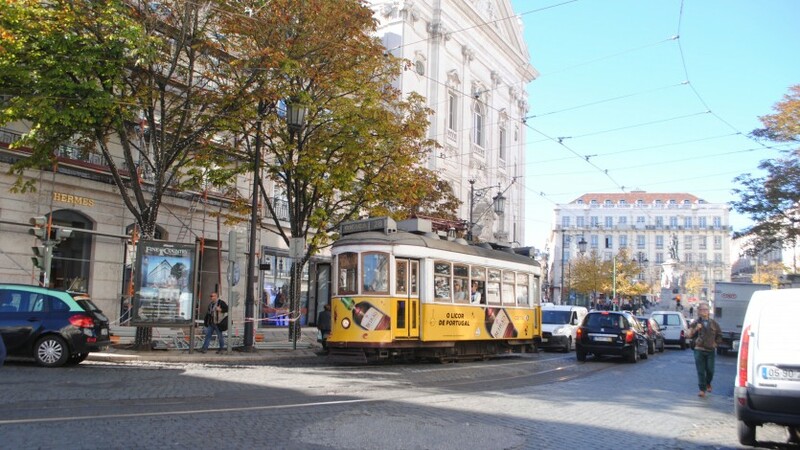 Lisbon’s central district, where you’ll spot all of the yellow trams and those colorblocked pink, blue, and orange façades covering every Portuguese travel guide. At sunset, head to Park (Calçada do Combro, 58), a rooftop bar and urban jungle set atop an old parking garage, for gorgeous skyline and river views. Named one of the 10 most beautiful bookstores in the world, the floor-to-ceiling shelves at Ler Devagar make the perfect bookworm backdrop to your “Oh hey, didn’t see you there” smile. Channel your best Belle and perch on one of the rolling ladders, or get your Instagram boy/girlfriend to snap you roaming the catwalks from below. This sloping street in the Baixa/Chiado districts is lined with enough patterned tiles to supply the home sections of all the Anthropologies in the world—photo ops galore. Just don’t wear heels: the sidewalks are hunks of slippery polished marble puzzle-pieced together (aka all the falls). A creative co-working space and café made out of stacked shipping containers (and one double-decker school bus), the Village Underground is painted an abstract pastiche of neon colors—perfect for backdropping your neutrals. Perch on the rope swing, part your lips, and say #cheese. 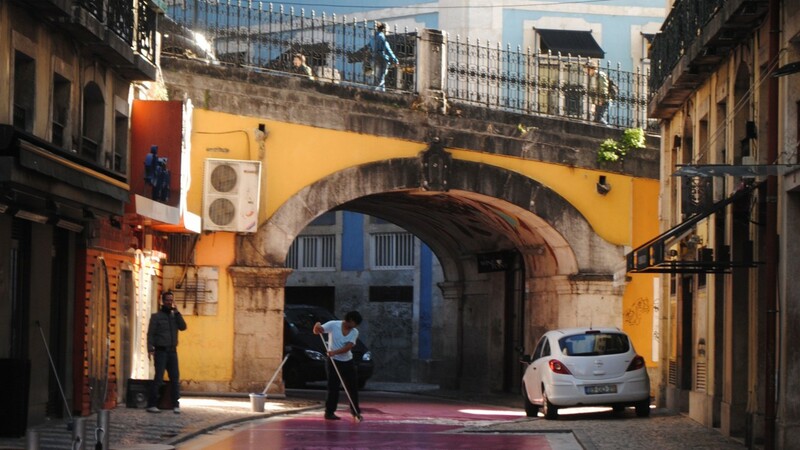 With its Tagus riverfront setting, ornate monuments, domed archways, and primary-yellow paint job, Praça do Comercio is a sunny square ideal for those Dame Traveler-esque shots we all not-so-secretly crave. Grab your biggest sunhat and floatiest crèpe dress and try not to get a tourist’s wayward selfie stick in the shot.